The Axholme Joint Railway was formed by the amalgamation of two light railways, The Goole and Marshland Light Railway and The Isle of Axholme Light Railway, authorised for construction in 1898 and 1899 respectively. 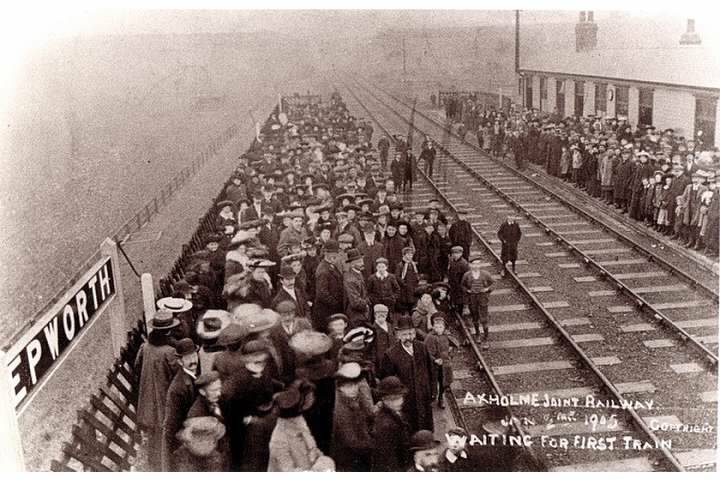 They were short lived as the North Eastern and Lancashire Railway purchased them in 1902, naming the new railway The Isle of Axholme Joint Railway. However the “Isle of'” was soon dropped and it became known as The Axholme Joint Railway. The first sod was cut o­n 22nd September 1898 by Mr William Halkon, the chairman at Mr Bramhill's farm, Boltgate, Eastoft. The Goole & Marshlands Light Railway (G&MLR) was constructed from Marshlands Junction near Goole, on the Hull - Thorne line, to Reedness Junction, with a branch to Fockerby on the banks of the River Trent. From the outset, it was planned that Reedness Junction would be the connecting point with the second line, The Isle of Axholme Light Railway (IoALR). This line headed south from the Reedness to Haxey Junction on the Great Northern & Great Eastern Joint Railway, there was also to be a branch from Epworth to Hatfield Moor. 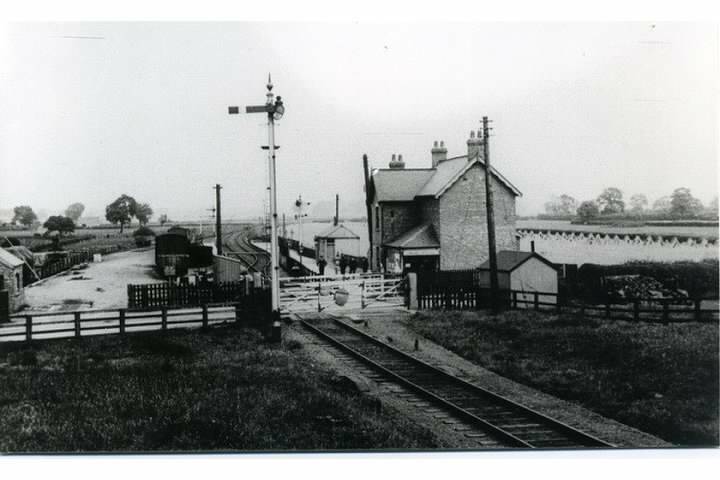 The joint railway opened part of the system to passenger and goods traffic o­n 10th August 1903 - this included the Station at Crowle and trains ran between Goole and Crowle. the Goole - Reedness section had already opened on January 8th 1900, while the line from Reedness to Crowle and from Epworth to Haxey Junction were under construction. The Crowle section opened on August 10th 1902, but the Crowle swing bridge delayed full opening to Haxey until January 2nd 1905. A goods line to Hatfield Moor was opened in 1909 with peat as its main traffic. The line from Crowle to Haxey Junction was opened to goods traffic o­n 14th November 1904. Monday 2nd January 1905 was the official opening day. Large numbers of people were carried by the first train from Goole at 7.18am. The main purpose of the line was for the movement of freight. The initial passenger service covered the G&MLR section in its entirety plus the Axholme section from Reedness to Crowle. There was one morning passenger train and one in the evening, both return services. The evening train from Goole ran directly to Crowle and covered the Fockerby branch on its return journey. Later a three train service was introduced plus extra services on weekends and market days. Once the IoALR mainline was completed, passenger trains ran through to Haxey, there were never any passenger trains on the Hatfield Moor branch. Excursions were run from time to time, for example, to Blackpool and Hull. There were also inbound excursions, especially to Epworth. In the years before the First World War, passenger traffic was quite brisk but the growing popularity of the motor bus began the passenger decline during the 1920s. The line was closed to passengers o­n July 17th, 1933, as there was no Sunday service the last train ran o­n July 15. The section from Haxey Junction to Epworth was closed completely o­n February 1st 1956. The Axholme Joint Railway was finally closed o­n 5th April 1965. The line from Marshland Junction to Ealand continued to be operated as a 'long siding' until 1972, this was to allow use of the line to take equipment away for maintenance, from Keadby Power Station. The last Rail Tour to run o­n the railway was a charter by North Axholme School o­n the 1st April 1965.